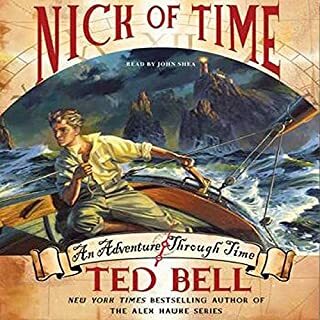 Ted Bell's Nick of Time is an epic adventure story starring young Nick McIver, who uses a time machine to rescue two young children taken prisoner by pirates. Along the way, with courageous feats of derring-do, not to mention his resourcefulness, our young hero - "the most reliable boy in England" - changes the course of events in two time periods, the Napoleonic Wars and World War II. It's like the good guys always win!! A thrilling sequel to the instant New York Times best seller Nick of Time, in which the young time traveler Nick McIver must prove his courage once more, on two fronts: in World War Two–era England, where Nazis have invaded his homeland, and in America during the Revolution, where Nick stands shoulder to shoulder with General George Washington. The first and most bizarre event nearly becomes a monumental catastrophe when something goes awry at an American theme park, wreaking havoc on visitors looking for nothing more than a sun-splashed holiday. In a different part of the country, a USAF F-15 pilot, escorting another jet in the skies over the Midwest, inexplicably loses control of his plane, endangering the lives of several people and deeply puzzling those following his mission on the ground. Then, in the misty calm of a coastal California evening, the world’s premier scientist on the subject of artificial intelligence gets a strange phone call. When he hangs up, he quietly grabs his coat and leaves for an after-dinner stroll from which he never returns. It’s up to Hawke and the brilliant former inspector Ambrose Congreve to find out what could possibly be happening. But how does one identify—and fight—an enemy one can’t see, a real phantom? Even these seasoned operatives are mystified. Is there really such a thing as an ultra-intelligent machine, a cyberweapon that can shift the geopolitical balance of power? 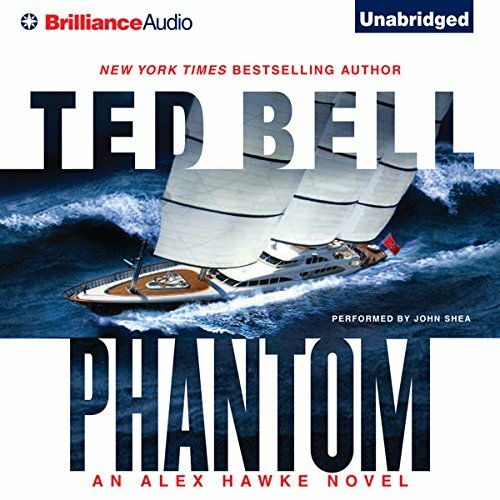 In a hunt that takes him from Palo Alto, California, to the Russian frontier, to Cambridge University and the glistening Mediterranean aboard his newly christened and armed super-yacht Blackhawke, Alex Hawke is joined by the unstoppable Stokely Jones and his ex-CIA buddy Harry Brock. 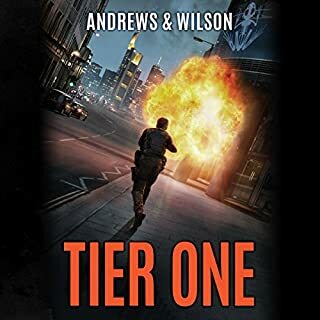 As he moves closer to unmasking the scientist behind these extraordinary events, he goes nose-to-nose with an enemy unlike any he’s fought before—and may never again. ©2012 Ted Bell (P)2012 Brilliance Audio, Inc. 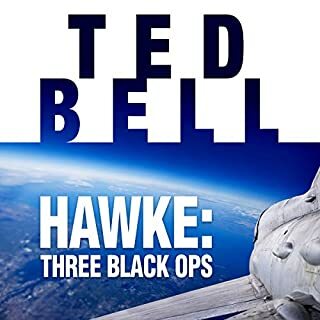 I think this is Ted Bell's best book yet. Alex has become more arrogant and a bit pompus, even for an elite Brit character. He has absolutely no qualms about killing or being the bad guy, but is a pussycat with now having a family! It is a very interesting mix. I loved every minute and the narration was again superb. 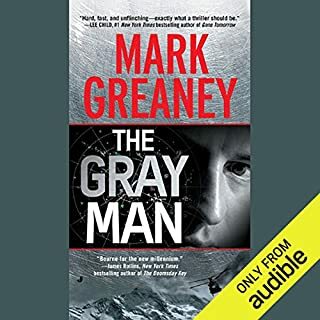 John Shea is the perfect narrator for this series. I'd like to listen to more of his books. Don't pass this one up if you like thrillers!! I found the plot of this book extraordinarily unbelievable. Yes, I realize it is fiction. But, I really don't think artificial intelligence is anywhere near the capabilities described. The story, based on the improbably AI gone amok premise is very hard to get in to. I listened to the entire novel but frankly, couldn't wait for it to end. The narration is terrible and sleep inducing. Don't recommend this one. So glad Hawke is at the helm of this science fiction adventure! Man vs machine! Crazy times that are coming into realty soon - great read! for those long hours of interior living. 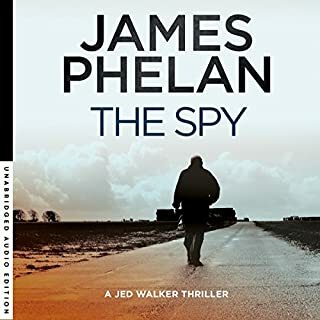 Ted Bell keeps this rollercoaster rolling by plotting steadfast and headlong into one action unto another, While John Shea's performance articulates the total drama of each written word, the novels imagery comes to life. interesting mix of true technology and an evil dr.
Heart Racing action packed page turner! What did you love best about Phantom? The pace of the story and the character of Alex Hawke. Yes - presents aspects of Alex Hawke that weren't revealed until a unique part of his past catches him by surprise! The story combines today's technology with ancient fears and grudges as Alex, once again, must save us from destruction. What about John Shea’s performance did you like? Loved the accents, the cadence and the timbre of his voice. Felt it added to the vibrancy of the story. Was surprised by an unexpected revelation and the impact it has on Alex Hawke. 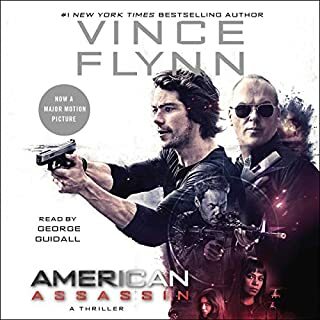 Great addition to the series, one of the most evenly paced action thrillers I have enjoyed in a long time! Would you listen to Phantom again? Why? No. Hate to listen to ANY book more than once. Ther are too many books I have NOT listened too even though I have listened to ove 1800 books in the last 25 years (have a list of every single one). Nothing I hated more than to get an hour into a book and discover I had already heard it. Therefore, I started an alphabetical list. What a terrific addition to the Series. Fascinating from the opening paragraph through to the climactic ending. One of the best features of the series is that you do not have to read them in order to completely understand the story and the dialogue - But your enjoyment will be enhanced if you do. In the afterword, the author explains his intention concerning AI and what it means for our future. How Alex Hawk "gets" the bad guys was a bit of torture for the listener. I've enjoyed number of Bell's writings, but perhaps I'm too familiar. The reader did a pretty good job, but from time to time, he mixes up his accents. I'm wondering that the post-production can't fix this with 're-dubbing', or is it too costly? Poor Stokely sounds like a Brit sometimes - and it's unintentional.